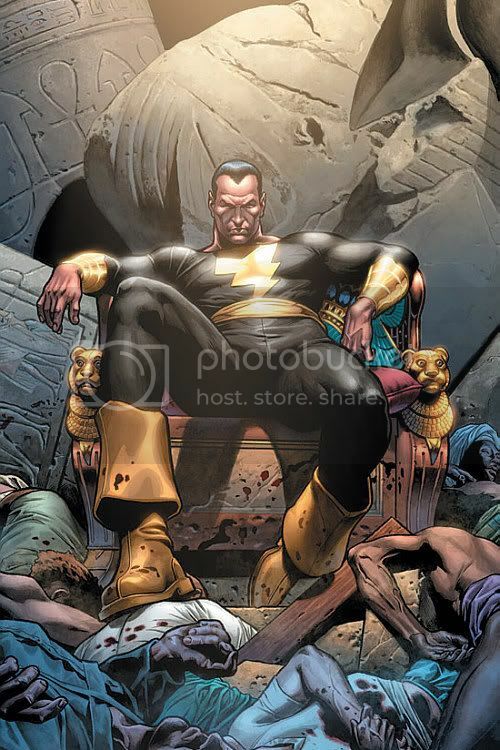 Black Adam for the same reasons Capt Marvel wins. this would be like supes fighting thor, with the exception that adam does not have any weaknesses and he will not hold back. since supes has already defeated thor in battle this should be a win for black adam since he is just as powerful(without any weaknesses)as supes if not more powerful. Thor hammers him into the ground. Stronger, better, and full of Asgardian fury. He doesn't need the Odinforce. "Thor hammers him into the ground. Stronger, better, and full of Asgardian fury. He doesn't need the Odinforce." Thor is FTL and has class 100+ strength, plus amplification from Mjolnir, plus magnified strength from his belt. And then if he goes into a state of Warrior-Madness, his strength increases again ten fold. 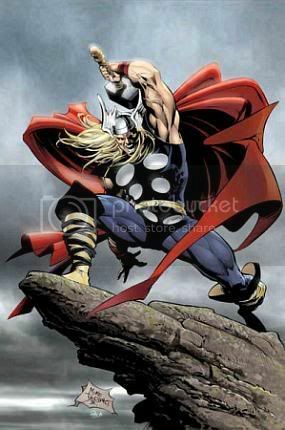 "Thor is FTL and has class 100+ strength, plus amplification from Mjolnir, plus magnified strength from his belt. And then if he goes into a state of Warrior-Madness, his strength increases again ten fold." Thor is not close to light and class 100 strength isn't close to BA's. "If this is Current Thor, Thor wins in a hard fight"
Thor has immense magic power with the Odin force"
And? He lost to Rulk. He struggled with a Super-Skrull. Black Adam is also extremely resistant to Magic and is much stronger and much much faster than Thor. He should beat him with little trouble. Yeah and I guess you have no idea that BA is highly resistant to "immense magic power" lol. Thats very interesting and I am glad you supported that claim. He is slower and weaker than BA how is he going to beat him? Not to mention that BA is highly resistant to magic...which thor tends to use. "Im sorry but the odinforce should be above anything black adam can take"
Why do you think that? BA's power from Aton gives him quote "resistance agains a massive amount magic spells and attacks"
So I find it funny that you just assume thor is going to take him down. I also still don't see how he is going to hit BA at all seeing how fast he is. If OF Thor FTW.IF not Im leaning towards BA. BA can constantly move with super speed that is like supermans. "Thor doesn't have the reaction speed of BA"
" Current Thor and Warrior Madness Thor with odinforce can take black adam i don't really care what people thank it's my opinion but classic thor would lose so black adam wins)) "
Current thor would get his beat just like he did by red hulk. Couldn't Thor use Mjolnir to transport Black Adam into the sun? "Couldn't Thor use Mjolnir to transport Black Adam into the sun?" Wonder why he didn't do that to Red hulk. Btw, BA is almost immune to all magic so even if he could its highly unlikely. Especially seeing BA is much much faster and stronger than him and will be too busy beating thor's face in for thor to focus on transporting him into the sun. Btw, BA is almost immune to all magic so even if he could its highly unlikely. Especially seeing BA is much much faster and stronger than him and will be too busy beating thor's face in for thor to focus on transporting him into the sun." Why are you using PIS? your saying black adam can withstand galaxy busting magic? @bloodmist Good question lol! But hasn't Thor faced stronger faster more powerful opponents before and won. Wouldn't this fight be like the battle against Gladiator in which Thor almost killed him. your saying black adam can withstand galaxy busting magic?" I don't mean that he is going to just stand there and laugh at his attacks...but anything thor throws at him will have much less effect on him not just because of his amazing invulnerablity and his high as hell resistance to powerful magic. "@bloodmist Good question lol! But hasn't Thor faced stronger faster more powerful opponents before and won. Wouldn't this fight be like the battle against Gladiator in which Thor almost killed him." I like how you say thor has beaten stronger and faster people, then use gladiator as an expmple. How do you think that Gladiator is more powerful than BA? He is like a watered down superman...and BA and captain marvel are on par with the real superman who could in my opinion bust purple mohawk man up. Your not going to make current thor seem tough, he lost to red hulk and you are not going to convince me that red hulk is superman level. Not trying to convice you, lol. I'm leaning towards BA also just had these questions. One last one, isn't Gladiator stronger with his confidence up. "Not trying to convice you, lol. I'm leaning towards BA also just had these questions. One last one, isn't Gladiator stronger with his confidence up." Not compared to BA, i dunno where you get that from gerald...its a good opinion though. Stronger than thor with confidence up? No clue. thor has smacked gladiator around for years"
Didn't know he ment that, I thought he was asking if he would be stronger than BA with confidence up. My bad. I still don't see thor taking BA. He is powerful no question about it, but BA or Captain Marvel would be a huge problem for him for the reasons I have stated before. "i still believe the odinforce should be able to take him out"
Thats fine, but the thing is people always argue about who would win in a fight between superman and thor. Superman's abilities ( such as strength, speed, invulnerability ect.) are above thor's and the only reason this is even debated is because superman is vulnerable to magic. 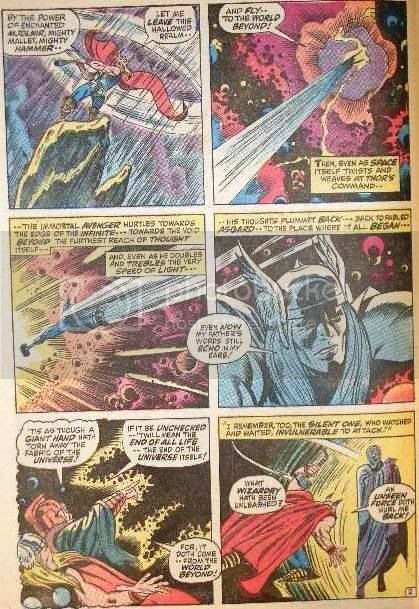 Now if we take someone on par with superman's abilities like BA with his astounding resistance to even the most powerful magic I really don't see thor winning. Black Adam is FTL, too and has class 100,000+ strength, which can be increased through the use of the lightning bolt used to transform him. Thor's Mjolnir doesn't amplify his strength. Lies.